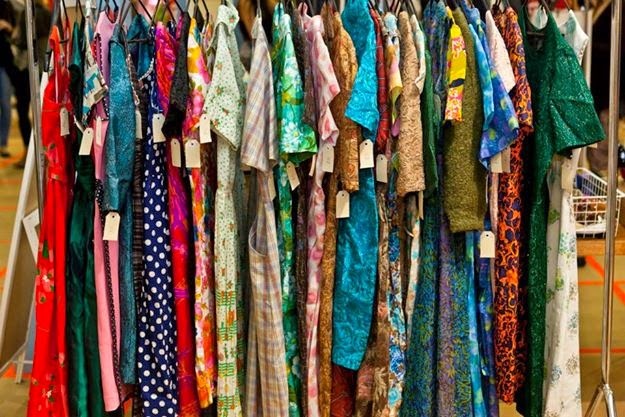 Westfield Southland dipped their shopping centre toes into the world of recycled fashion today, running their first ever "Thrifty Fashionista Market" within the centre court shopping mall. 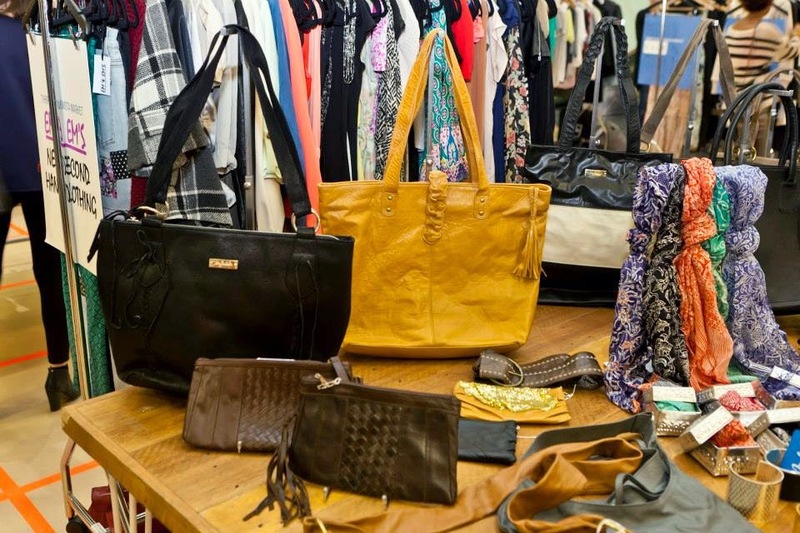 Vintage and pre-loved are two types of fashion that you would least associate with a shopping mall, yet Westfield Southland broke down that barrier offering 15 stallholders the chance to offload their vintage and pre-loved wares to fashion shoppers. Stalls were offered at $50, with all proceeds going to Bayside Special Developmental School. What a pleasure to browse second hand goods within a shopping centre that is usually reserved for high street retail. Some of Melbourne's popular blogger's were present, including Phoebe Montague (Lady Melbourne) Trish Hunter (Trish Hunter Finds) and Candice DeVille (Super Kawaii Mama). It is difficult to know whether the event turned out to be a success or not, as I arrived quite early in the day. 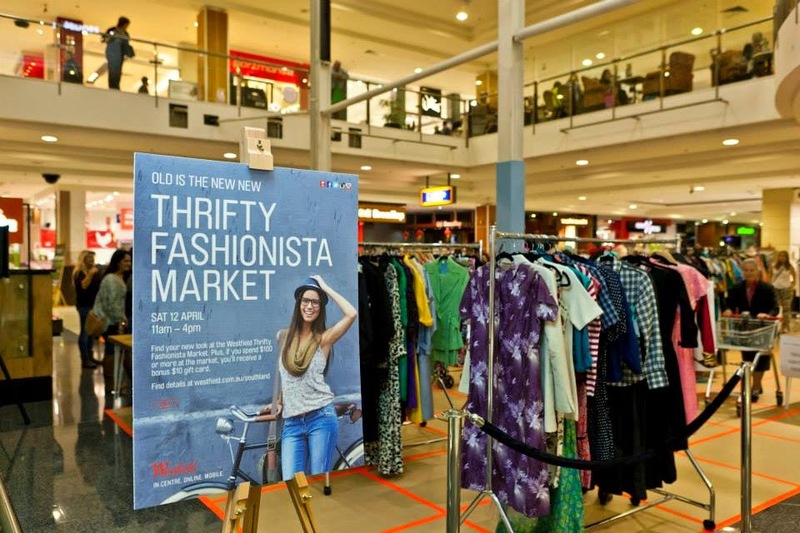 One can only hope that the first Thrifty Fashionista Market at Westfield Southland proved successful enough to hold similar markets in other shopping malls around Melbourne and beyond. As I said on IG what an awesome concept. It really bring the whole idea of mixing vintage, thrift, modern and retail together. I could be tempted to take part as a stall holder if they introduced something like that here on the GC. Ooh I just found this post! So good to quickly chat! And glad you could make it!! It was a really great day, and last time I did it with the caravan I really was surprised at how many people actually craved the quality that vintage offered. I didn't expect it at all so was really pleasantly surprised how easily it was accepted!! Hope to catch up properly next time! I missed you at Wicked!! !